To vary the pleasures and watch something other than Grumpy Cat playing the piano, discover our selection of the best apps to enjoy streaming videos on your Android Smartphone! With Molotov TV, you will be able to enjoy 35 free DTT channels from your smartphone, tablet or computer. The application allows you to search the program of your choice by channel, keyword – indicating for example the name of the actor or director – or type of program (broadcast, comedy, thriller, etc …) . To avoid missing anything, you can also set up alerts and be warned as soon as your program, movie or favorite actor goes on TV. And if the 35 channels offered are not enough, you can, for a little less than 10 € per month, access the extensive catalog of 70 channels. Popcornflix: small catalog but really free. Popcornflix is ​​a free application that has a catalog of over 700 movies viewable without subscription. The films on offer are, however, mostly independent. You will not find the latest Batman vs Superman but the application offers new movies every day and all free. Comedies, thrillers, dramas, documentaries and even Bollywood, Popcornflix lets you watch as many movies as you want without any limits. SnagFilms, like Popcornflix allows you to watch movies and series for free streaming from your Android Smartphone. The application has a much larger catalog of 5000 titles. SnagFilms also allows you to select multiple movies and add them to your watchlist to watch as soon as you have a moment. If you’re a fan of anime, look no further, Viewster is the app for you! In addition to a wide selection of anime, you will also find free movies, TV shows and documentaries with the consideration of broadcasting some commercials during the playback of your videos. Always for anime fans, Crunchyroll gives you free access to more than 25,000 episodes of your favorite mangas: Naruto Shippuden, Bleach or One Piece. Free, Crunchyroll also offers a premium subscription that offers you the following features: stop advertising, access to episodes just after their TV broadcast and access to HD content. A true market leader, Netflix allows you to access, at the price of a monthly subscription, the best movies and series of the moment. By signing up, you get the free trial offer of one month to watch your films and series in unlimited access. The Netflix subscription can be terminated at any time and you can of course cancel it after your trial month. 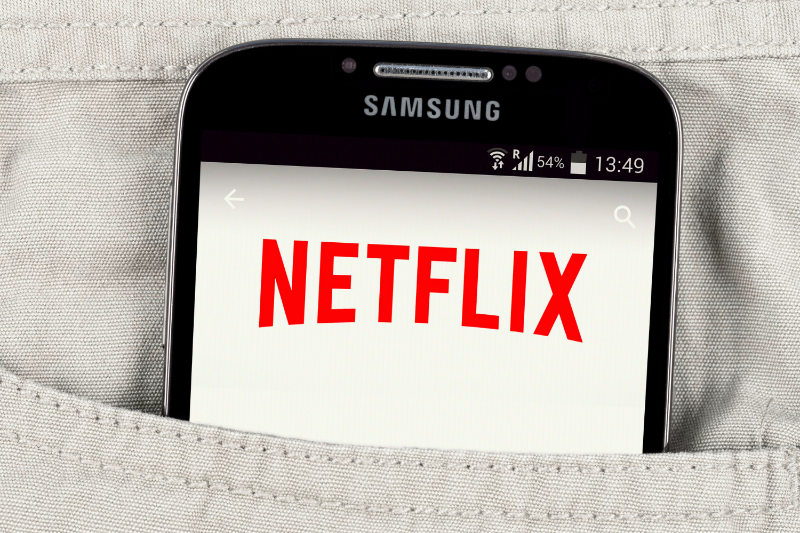 A direct competitor of Netflix, Amazon now offers its own video streaming service. Thanks to Amazon Prime you will enjoy many video content including Amazon Original series like The Man in the High Castle or Sneaky Pete. The service not only allows you to watch streaming content but also to download movies and TV shows on your smartphone or tablet for offline viewing. Of course, to enjoy Amazon Prime Video, you will have to subscribe. However, like Netflix, Amazon offers you a month of free trial and no obligation! Whether you’re a fan of independent movies, anime or more popular shows, you can now enjoy your smartphone when you’re stuck in transport for too long thanks to our selection of the best streaming apps for Android, unless you do not want to let loose on one of your favorite games?